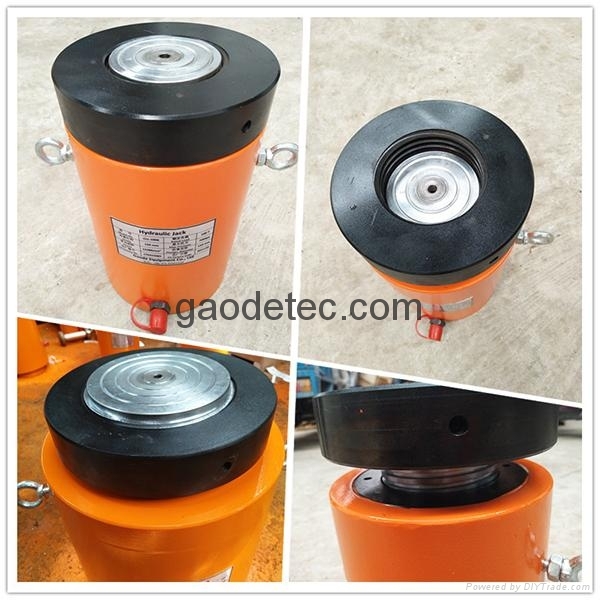 Gaode Equipment Co., Ltd is a high-quality supplier from China, providing you the many ranges of double acting hydraulic jack, hydraulic spring return jack, hydraulic hollow jack and hydraulic screw jack with effective & timely delivery. Double acting hydraulic jack standard tonnage of 50-1000 tons, usually stroke 100-500mm. If you want a smaller tonnage and a greater stroke, we can also customize for you. The hydraulic spring reset jack is a single acting hydraulic jack, because the single acting, unloaded when the spring is reset. Model jack can be made of single-acting hollow jack, we have RCH series for you to choose; it can also be made double-acting hollow jack, we have RRH series for you to choose. Type jack is a self-locking single acting hydraulic jack with a lock nut that can be maintained for a long time.